The field-based TESOL master’s program offers in-service teachers with a secured contract for teaching abroad the opportunity to earn a master’s degree in two years while working in their own classrooms overseas. 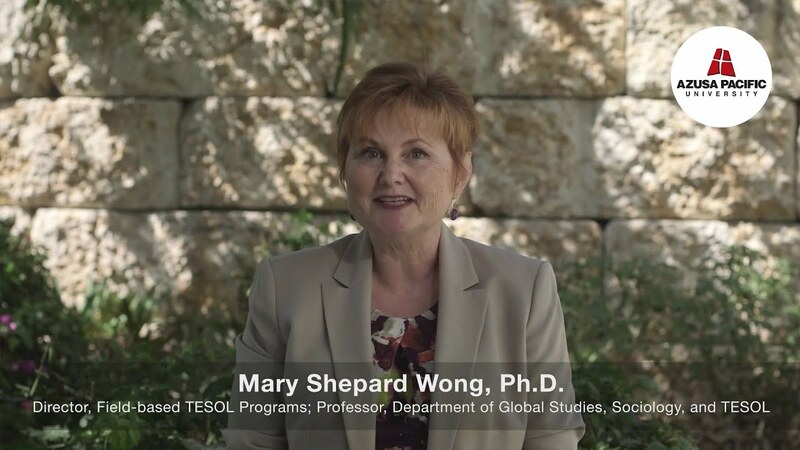 Get to know our field-based TESOL faculty. Students and faculty gather twice a year for two weeks of face-to-face instruction each January in Chiang Mai, Thailand, and each July on the APU campus in Azusa, California. Over the intervening five months, they complete additional assignments and class projects while teaching abroad. While taking summer classes in Azusa, teachers live in the dorms with other colleagues enrolled in the program. The current housing location in Asia is the International Hotel in Chiang Mai, Thailand. In lieu of writing a thesis or compiling a portfolio, teachers in the field-based program demonstrate their competence through an Action Research Project course. A tuition discount applies for students in the program and is reflected in the base cost. Scholarships of $10,000 are also available for qualified applicants committed to teach English in China during the two years of their academic program. Learn more about The Tsern Teaching English as a Foreign Language (TEFL) Scholarship and apply. To enter the program, a teaching contract is needed for the two full years of the program. Candidates are responsible for securing teaching contracts abroad.